Geremew Bultosa earned Ph.D degree in Food Science from the University of Pretoria, Republic of South Africa (2000-2003); MSc in Chemistry (Applied Science of Materials) from Dar-es-Salaam University, Tanzania (1989-1993); BSc in Chemistry from Addis Ababa University, Ethiopia (1983-1987) and certificate in Food Technology (Hebrew University, Jerusalem, 1996). 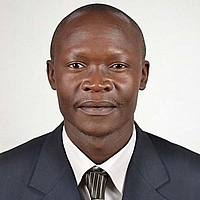 He is currently working as an Associate Professor of Food Science/Food Chemist at the Department of Food Science and Technology (FST), Botswana University of Agriculture and Natural Resources (BUAN), the then called Botswana College of Agriculture, Botswana. He is serving as Head of the Department since August 2012. 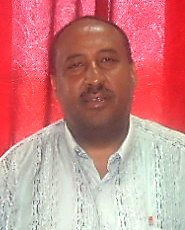 Prior to joining BUAN in May 2012, he was Associate Professor at Haramaya University, Ethiopia and had also served there as Head of the Department of Food Science and Postharvest Technology (2008-2012). 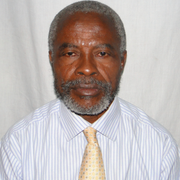 Prof G. Bultosa was awarded research grants from different sources: two times from International Foundation for Science; National Agriculture Research Fund on Functional Foods; and from world bank for Development of Center for Research on Grain Quality, Processing and Technology Transfer (CRGQPTT) through which he supported the establishment of vibrant postgraduate programme in his previous University that benefitted students in the form of research grants and facilities establishment. Professor G. Bultosa has recruited several students at postgraduate levels and to this date has supervised as major or co-supervisor 53 MSc and three PhD Theses works toward successful completion. Most of his graduates are currently serving higher education institutes, agro-processing industry and other food sectors. He has research experts in the area of Food Science/Food Chemistry, Grain Science and Technology, Postharvest handling, Functional Foods, Starches, Food Nutrition, Weaning Foods Development and Value Additions. He has published several scientific publications in reputable peer reviewed national and international journals, training modules, articles in authoritative reference books and mentored dozens of his follower in his area of expertise. G. Bultosa has attended a number of conferences and presented plenary lectures on topical issues such as on agricultural product value-addition, postharvest handling, starches, indigenous foods and functional foods. He has been serving as peer review for a number of national, regional and international journals. His professional engagement as educator, researcher, and leadership services are significant. A Senior Scientist at AdvancePierre™ Foods, a manufacturer and distributor of sandwiches, bread and center-of-the plate proteins throughout the United States, Canada and South America. Based at the Company’s Innovation Center in Cincinnati, Ohio, USA, she develops bread formulations, scales them up for manufacture and is deeply involved in trouble shooting for the company bakeries. A lot of her work also involves test designing, sensory analysis and shelf life studies. In 2013, Kate patented a process for preventing discoloration in egg sandwiches built on whole wheat breads. Kate holds a PHD in Food Science and a Master’s degree in Food and Nutrition from Kansas State University, Kansas, plus a Bachelor’s degree in Agricultural Engineering from Makerere University, Kampala, Uganda. We value Dr Bagorogoza’s contribution to the journal as an effective and timely reviewer. Ed. AJFAND. Bagorogoza, K., Bowers, J. A. and Okot-Kotber M. 2001. The Effects of irradiation and modified atmosphere packaging on the quality of intact chill-stored turkey breast. J. of Food Sci. 66 (2) 367-372. Tilley K., Benjamin R. and Bagorogoza K., Prakash O. and Okot-Kotber M, 2001. Tyrosine crosslinks: The molecular basis of gluten structure and function. Journal of Agricultural and Food Chemistry 49 (5) 2627-2632. Okot-Kotber M., Kwon-Joong Y. and Bagorogoza K. 2002. Phytase activity in extracts of bran and other milling fractions from wheat cultivars: Enhanced extractability with 𝛽-glucanase and endo-xylanase. Journal of Cereal Science, 38:307-315. Professor Adegoke obtained his PhD degree (Veterinary Microbiology) in 1984 from the University of Ibadan, Ibadan, Nigeria and was promoted to the grade of Associate Professor (Reader) in 1996 and full professor in October 1,1999 in the Department of Food Technology, University of Ibadan, Nigeria. 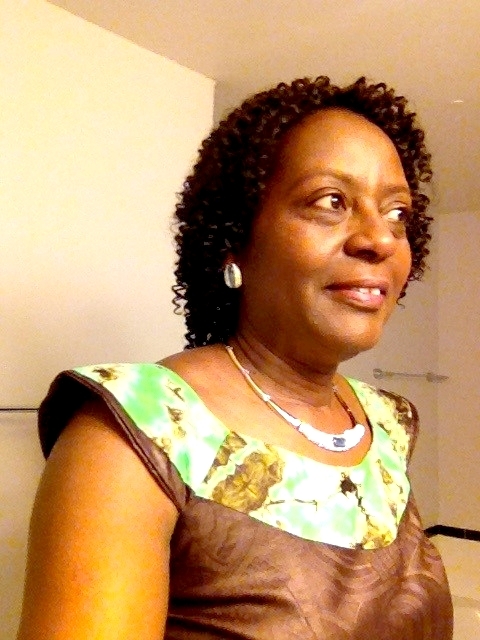 Professor Adegoke has successfully supervised 14 PhD students and has over 100 papers in peer-reviewed journals with reasonable impact factors. In 2010, Professor Adegoke was appointed Chairman, Committee for the Review of Nigeria's Food Safety Policy, Federal Ministry of Health, Abuja, Nigeria. Professor Adegoke was invited as a Consultant by the World Health Organization (WHO) in 1996, 1999, 2002 and 2007 on issues relating to Healthy Food Market, acrylamine and food safety (FERG). He was on the WHO's Mission that introduced Hazard Analysis Critical Control Point (HACCP) system to Nigeria in 1996. He was nominated as an expert for FAO's JECFA meetings on food additives, contaminants and natural toxicants (2012-2016). Professor Adegoke is an online reviewer for several professional journals and he is on the Editorial Board of 6 international journals with reasonable impact factors. He is the Editor-in-Chief, Current Bacteriology (USA). 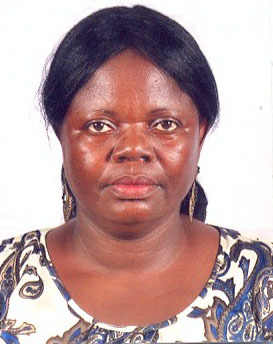 Professor Adegoke's competencies are in the areas of food safety, food additives and natural toxicants. Prof Adegoke is a valued timely and effective reviewer. Ed. AJFAND.